(0 Customer Reviews) | Write Review 6 issues per year Feel Good Food is an inspiring quarterly magazine brought to you by woman&home. Aimed at readers who are enthusiastic about food, seasonality, nutrition and new products, it inspires, supports and reassures both the experienced cook and the experimental novice. 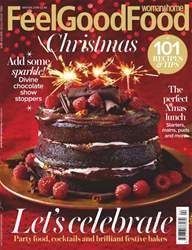 Each issue also includes recipes from an array of celebrity chefs. 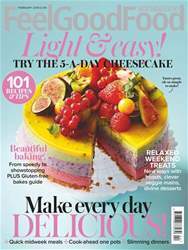 Looking for Woman & Home Feel Good Food in print? Unfortunately pocketmags.com does not sell print copies of Woman & Home Feel Good Food, but all is not lost. Our partner at magazine.co.uk sells print subscriptions at the best prices online. 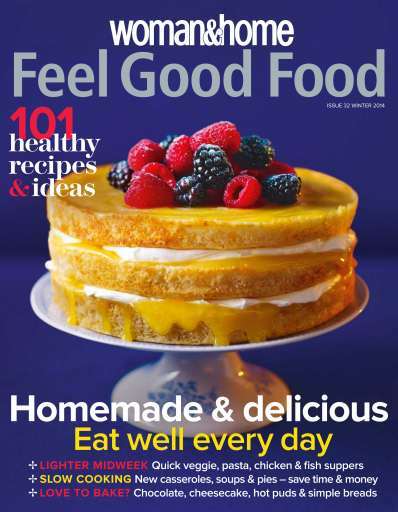 Feel Good Food is an inspiring quarterly magazine brought to you by woman&home. Aimed at readers who are enthusiastic about food, seasonality, nutrition and new products, it inspires, supports and reassures both the experienced cook and the experimental novice. 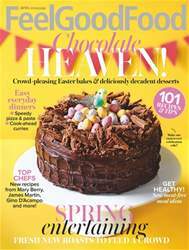 Each issue also includes recipes from an array of celebrity chefs. You'll receive 6 issues during a 1 year Woman & Home Feel Good Food magazine subscription. 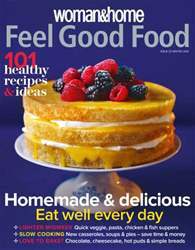 You'll receive 6 issues during a 1 year Woman & Home Feel Good Food magazine print subscription.